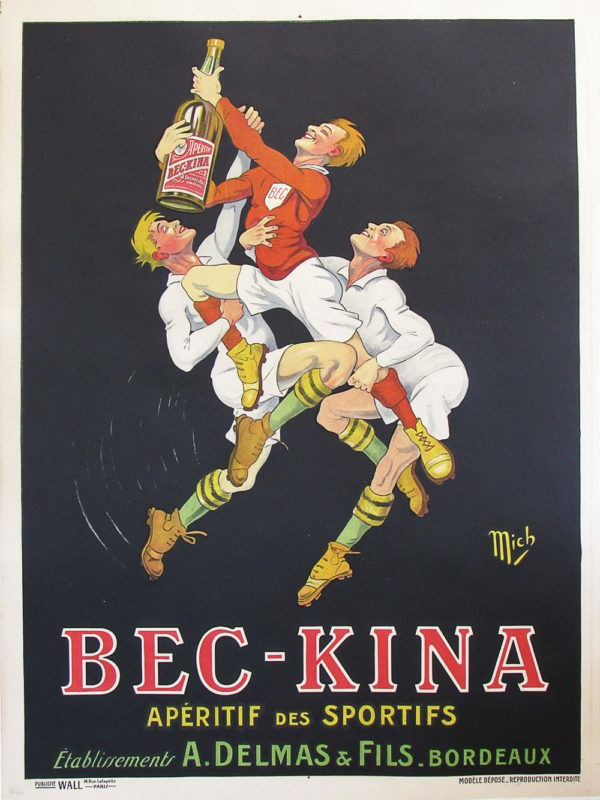 The artist known as Mich produced great whimsical posters in the style of Cappiello. The aperitif of choice for the sportsman. This original vintage poster is in great condition and is linen backed.